Major soccer sponsors have issued co-ordinated calls for the immediate resignation of Fifa president Sepp Blatter in the most significant move by companies supporting the sport since a bribery and corruption scandal erupted at world football's governing body last May. Coca-Cola, McDonald's, Visa and Budweiser owner Anheuser-Busch InBev, companies that have long linked their brand names to soccer, on Friday demanded Blatter step down immediately in a strong push for change at the organization. Blatter earlier announced he would resign in February next year. The sponsor statements, all using similar language, came just a week after Swiss authorities said they were opening a criminal investigation into Blatter, the 79-year-old Swiss national who has lead Fifa for the past 17 years. AB InBev said it has been "actively engaged" in the Fifa reform process as part of a group of sponsors. "Every day that passes, the image and reputation of Fifa continues to tarnish," Coca Cola said. "Fifa needs comprehensive and urgent reform, and that can only be accomplished through a truly independent approach." 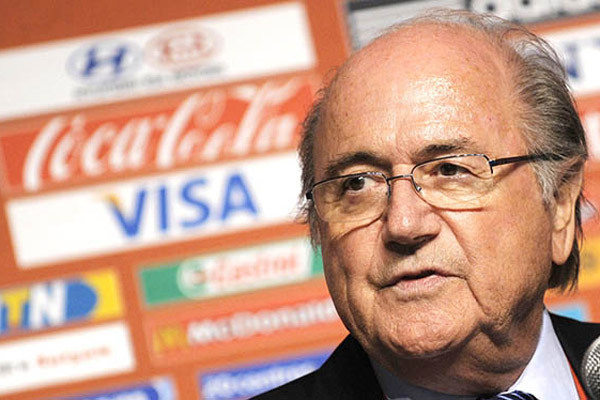 Visa and McDonald's joined the call for Blatter to step aside. "The events of recent weeks have continued to diminish the reputation of Fifa and public confidence in its leadership," McDonald's said in an emailed statement. Blatter responded by saying he would not resign, setting the stage for a battle over who should take the helm in the next few months before February when elections are set for a new Fifa president. In a statement from his US lawyer Richard Cullen, Blatter said he believed leaving office would not be in Fifa's best interest or advance the needed reforms of the organization. Scandals surrounding global soccer exploded in May, when 14 soccer officials and sports marketing executives were indicted on US charges of racketeering, money laundering and wire fraud in relation to bribery schemes that dated back decades. It was the first time that authorities investigating corruption in the world's most popular sport had pointed the finger directly at Blatter. He has denied wrongdoing and his US attorney said he was co-operating with the Swiss probe. Fifa's awarding of the 2018 and 2022 competitions to Russia and Qatar is one of the strands under scrutiny from US and Swiss authorities investigating corruption in the organization, a worry for tournament sponsors including McDonald's, Coca-Cola and Visa. "One of the things consumers are looking for in brands today is for them to be responsible," said Trevor Wade from the brand consultancy firm Landor. She said the moves by the sponsors was a way to take a public stand about something they think matters to customers. It is an unprecedented decision by companies that have largely stood back as developments in the case unfolded in recent months, said Jaimie Fuller a co-founder of campaign group #NewFifaNow.